The Golf School is an all-ages golf instruction and practice facility located in Austin, Texas. We offer expert coaching from PGA-certified instructors. Our club-focused teaching method is proven to make golf improvement easier for every skill level. The Golf School utilizes the world's best launch monitor and simulator technology to ensure that each player is maximizing their potential. Want to get started on your journey to better golf? You’re invited to The Golf School for a free 30-minute assessment! Fill out the form below to get started. A couple golf-related questions will help us get to know you! click for more instructional information! We are located between the Austin Aquarium and Emler Swim School at the corner of Anderson Mill Rd. & Highway 183 in Austin, Texas. 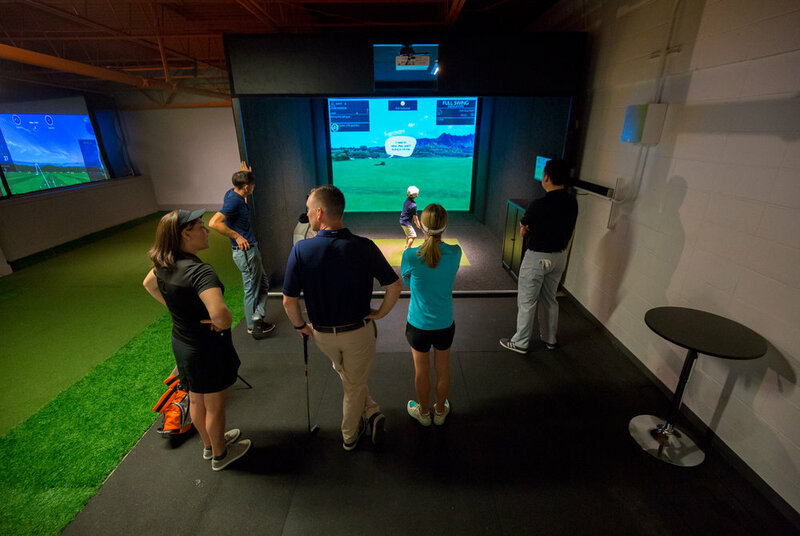 The Golf School utilizes Trackman 4, Full Swing Golf & SkyTrak simulators for real-life, accurate ball flight measurements. Swing speed, ball speed, launch angle, side spin and more are calculated on every single shot.